To create a wider appreciation and awareness for people with disabilities in the society it’s our aim to inform and teach fellow citizens, family members, friends, neighbours and everyone interested about deafness, sign language and deaf blindness. 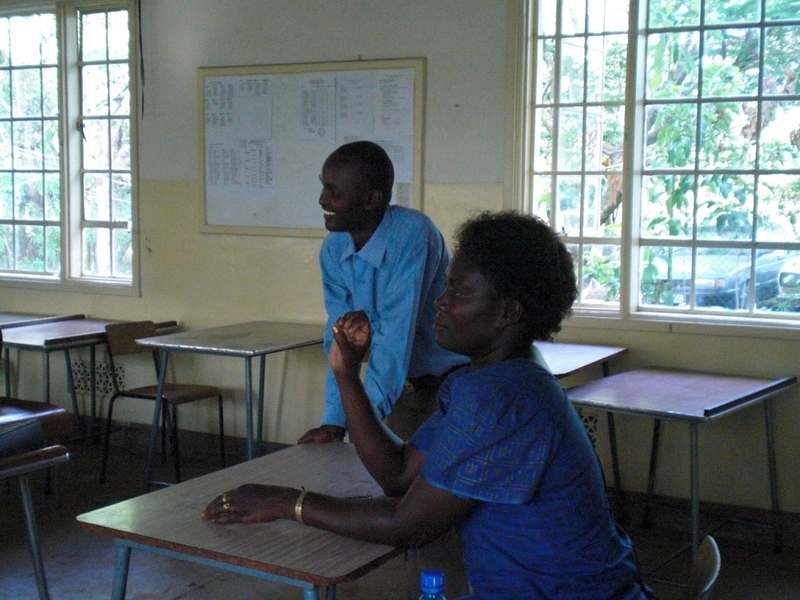 Besides many events, the sign language class in Kisumu is one of the biggest offers that we provide on a regular basis in a three months interval. 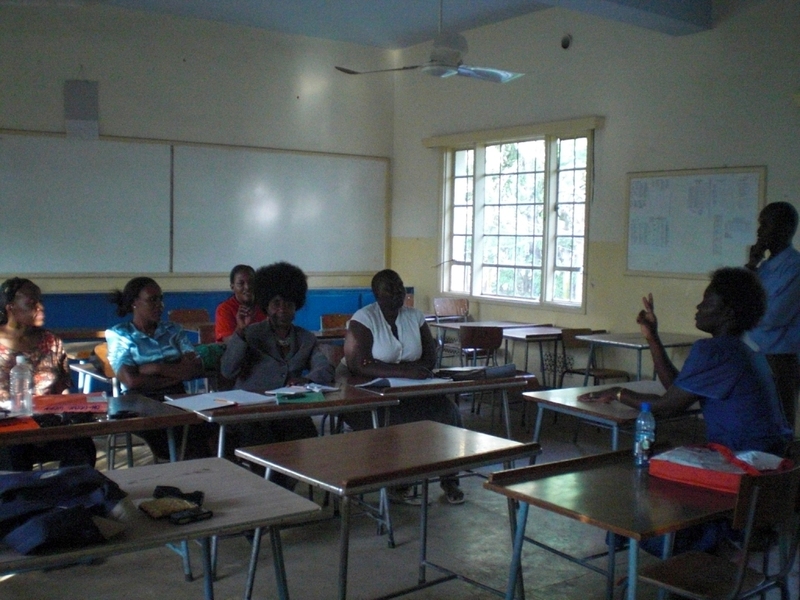 The first class started in March 2011 with eight participants. Five of them take even part in the advanced class. Kids of Maseno e.V. pays the rent for these facilities and supports wherever help is needed, for example in providing materials for the classes. 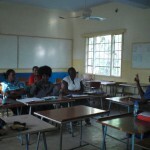 In January 2012, the second round of the beginners’ class started. The much anticipated sign language classes has finally kicked off. Currently we have 8 students who are coming from Monday through Friday between 4:30 pm and 6:30 pm or on saturdays for those who cannot attend during the week. The charges are currently at Ksh 2000 (€ 16,50 per month). We asked the participants about their motivations to join the course: They said that they wanted to be able to communicate better with deaf people in their community. They became aware about the course by ads or friends. The participants have three teachers. 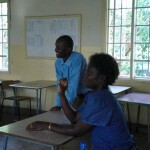 One hearing teacher lectures the theoretical part and two deaf teachers practise with them. In about a month, the course will move from Kanaan International College to a a room next to the Shopping Mall in central Kisumu because the old room has become too expensive. The sign language class had to move again. After some weeks at the Nyaweri VCT office, now the class takes place in one room of the St. Stephans Church of the Deaf. The second round of the beginners’ class has already started and many interested people want to learn the Kenyan Sign language.